It seems a strange time to blog about icy conditions, after I have just returned from cleaning the garden of ball pits, sand tables and play tents... the weather has been unseasonably hot but I took these shots ages ago and wanted to add them to the blog. 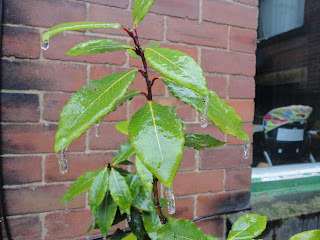 These photos were taken on the 9th of February, when we experienced 'an ice storm'. I had never seen anything like it. After Craig told me what it was, I toddled off to Wikipedia to find out more. 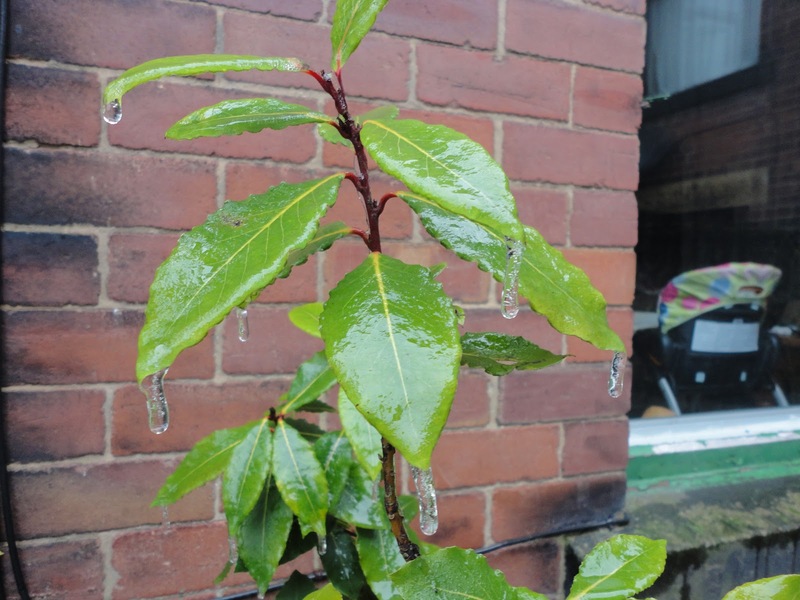 It is sometimes referred to as a 'glaze event' and comes about when there are very specific conditions. 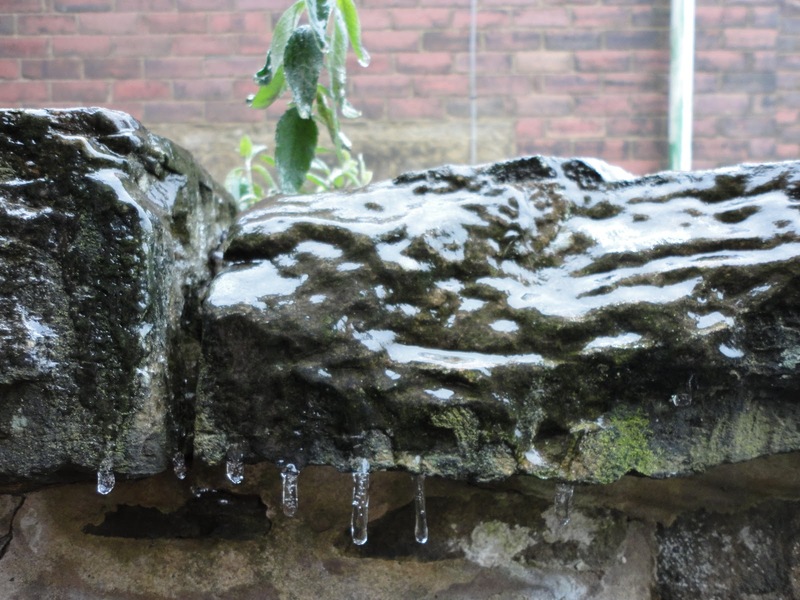 In summary, rain passes through cold then warm then supercooled air which causes it to freeze on contact with surfaces. Every surface had a fine layer of frozen water on it, the water hadn't even pooled in any way. It reminded me of the ponds and rivers that I used to see on 'Lilliput Lane' ornaments whilst browsing through knick knack shops in Hastings with my parents as a kid. 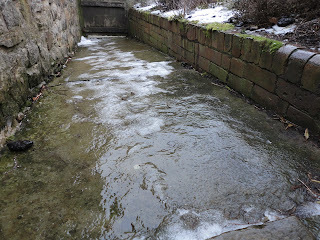 This is the particularly treacherous passage down to the back gate that I had to navigate to go and get Edie from Mum and Dad's. 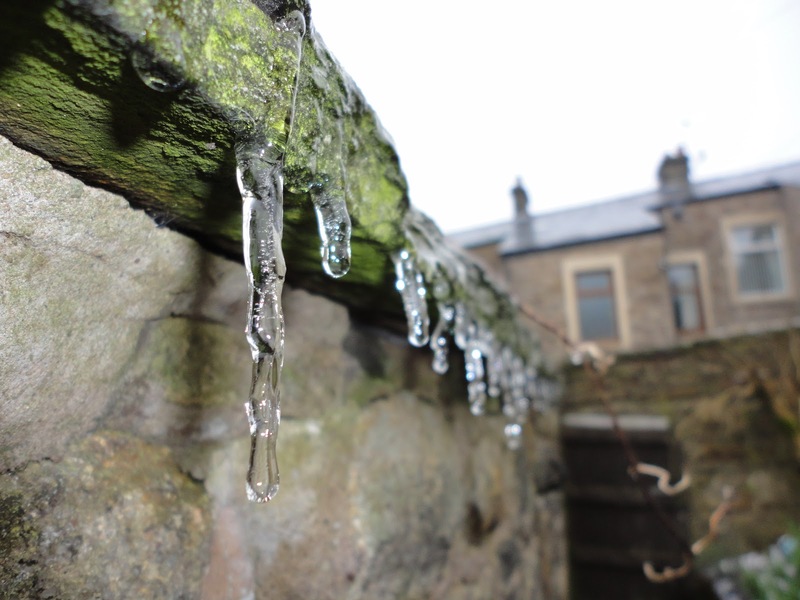 Here are just some regular icicles hanging off the back wall. 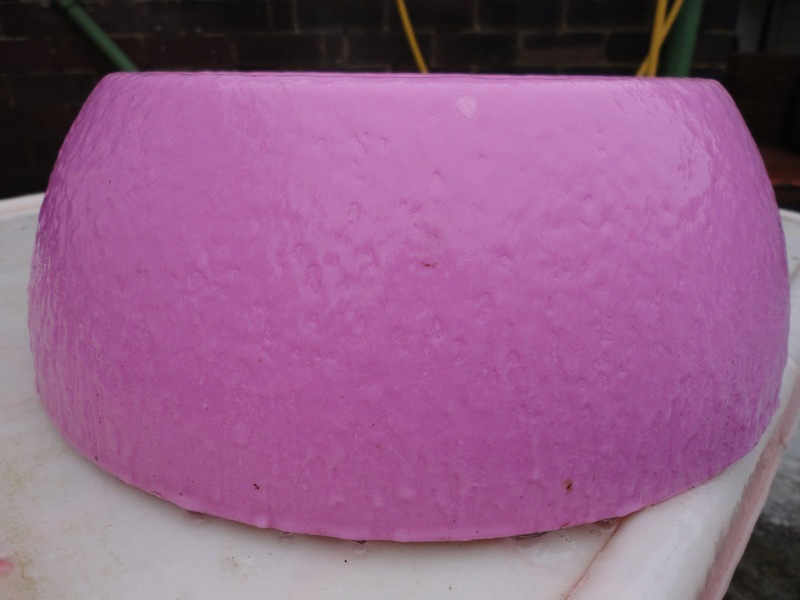 Moomin's giant pink dog bowl (donated by Steve and Jacqui next door after their bulldog died) with a strange melted wax effect from the ice. 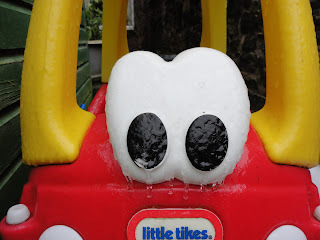 You can see that 'shimmery' effect on the Cozy Coupe too. I actually slipped on my arse into the wet ice taking these pictures, made worse by the fact I was in my pyjamas. 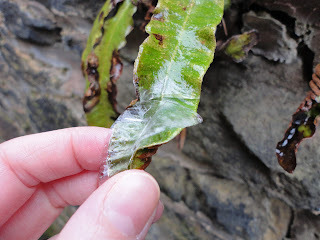 Even the leaves are cold enough to get a coating. Although everything was really pretty, it was dangerous to say the least. There were twenty five road traffic accidents on the M6 in Cumbria that morning. Worrying about Craig's commute, I decided to send a text. It said 'Please be careful driving home, I love you. The roads are dreadful.' Then promptly sent it to the Tesco delivery man by accident, hopefully it brightened his day and afterall I didn't want him to crash on his way home either.